Meghan Markle's father caught up in photo flap; will he stay home from royal wedding? Did Meghan Markle's father, former Hollywood lighting director Thomas Markle, conspire with a paparazzo to stage fake pictures of himself preparing for his daughter's wedding to Prince Harry? And did the revelation of the photo flap in the British tabloid Mail on Sunday cause him to cancel his plans to walk his daughter down the aisle in St. George's Chapel at Windsor Castle on Saturday? TMZ is reporting that Markle's regret and embarrassment over the photos has led him to cancel his plans to be at the wedding. The gossip website reported Markle suffered a heart attack last week but was still planning to be at the wedding when the photo scandal erupted Sunday. Late Monday, Kensington Palace issued a statement that neither confirmed nor denied whether Thomas Markle would be at his daughter's wedding, only six days away. Meanwhile, Thomas Markle's elder daughter (and Meghan's estranged half-sister) Samantha Markle, claimed that the photo shoot with her dad was her idea. She denied the motive was to make money, as the Mail implied. Instead, she said the Markle family, most of whom are not invited to the wedding, wanted to show Markle in a better light than other paparazzi photos of him in the last few months, where he was seen looking casual and a bit disheveled. “I have to say I am entirely the culprit,” Samantha Markle said during an appearance on British talk show Loose Women on Monday. “The media can take very unflattering photographs of people on their casual days and blow it way out of proportion. "I said, you know, the world has no idea you’re getting in shape, doing healthy things. They don’t photograph you buying vegetables and PH water. They photograph you in as unflattering ways as they can,” Samantha Markle said. Kensington Palace declined to clarify any of this other than its statement seeking "understanding" for Thomas Markle. Only 10 days ago, the palace confidently announced that Markle would be arriving this week to meet Harry's family, including grandmother Queen Elizabeth II, and would carry out the traditional dad role at the wedding. The Mail on Sunday obtained pictures and video surveillance footage showing Markle arriving at an internet cafe in Baja California with a photographer named Jeff Rayner weeks ago. Soon, the pair are seen preparing to photograph Markle while he is sitting at a computer looking at a news story about his daughter and Prince Harry. Other supposedly "candid" pictures showed Markle reading a book about Britain and being "fitted" for his wedding outfit by a man with a tape measure. In fact, the Mail reported, the ‘tailor’ was an assistant at a party goods shop recruited for the job because the rent-a-tux store the photographer planned to use was closed. 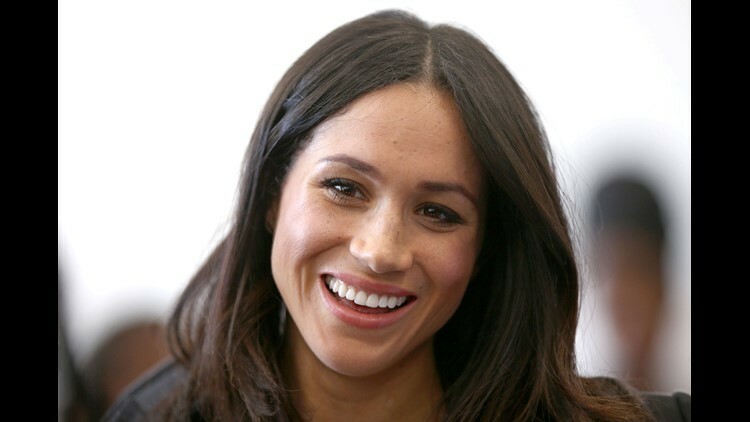 The tabloid said its investigation found the pictures and video are part of a series of pictures Rayner took of Markle, sold for a total of about $140,000 and published in newspapers, magazines and on websites around the world in recent weeks. At the same time, Kensington Palace had issued warnings to the media that Markle was being "harassed" by paparazzi, and pleaded with publishers to respect his privacy. The Markle family, and especially Thomas Markle, 73, has been the object of intense fascination by the British tabloids and the international paparazzi since his daughter emerged as Prince Harry's new girlfriend at the end of the summer of 2016. The guest list: Who’s invited and coming? Who are the A-listers? Then the Mail on Sunday's story landed, raising questions about whether Thomas Markle tried to make money off his daughter's nuptials, or just exercised poor judgment about the consequences of his actions should they be discovered. Since the engagement was announced in November 2017, occasional paparazzi shots appeared showing Markle in public in Rosarito Beach, the Mexican town where he lives just south of the U.S. border in San Diego. For instance, one set of photos showed him with a female friend and her daughter in a cafe. A former TV lighting director and photography director for such shows as Married with Children and General Hospital, Markle has had money problems in recent years: He declared bankruptcy in 2016. Like approximately a million other Americans, he retired to Mexico, where he has been living in the resort town of Rosarito Beach. The town is located in the Mexican state of Baja California, about 13 miles south of Tijuana and the U.S. border. Royal wedding timeline: What's happening when? More: Will there be any American traditions? Any African-American traditions?